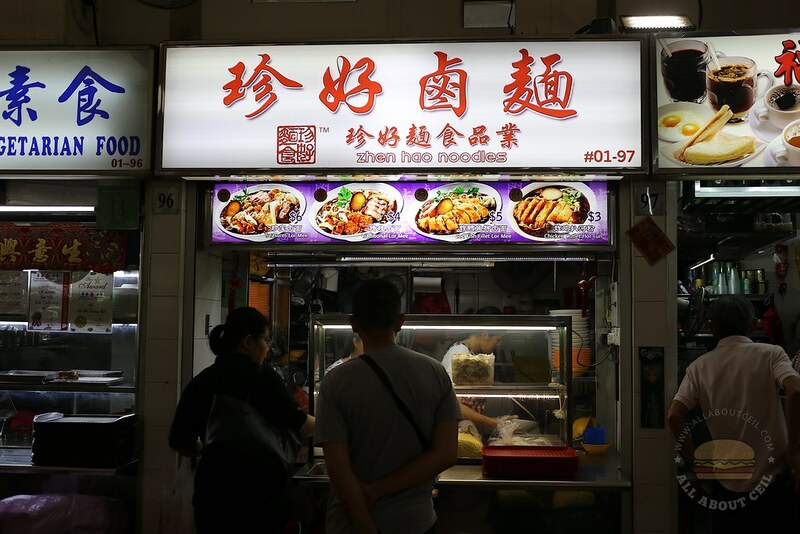 I was surprised to find this popular stall still opened at about 1 pm on a Saturday when I was there to take away Fried Hokkien Mee from Hoe Hokkien Mee (#01-93). There were just another 2 customers in front of me. I was eager as I have heard of this Lor Mee but never get to try. 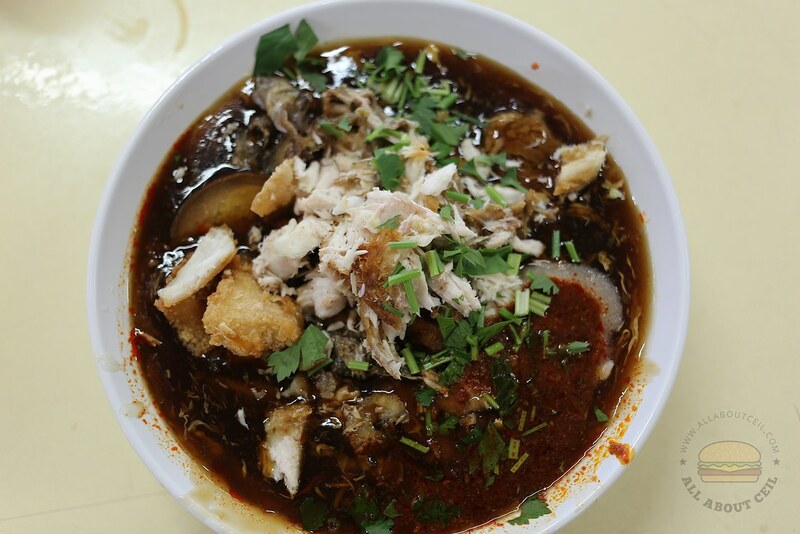 The menu includes Treasure Lor Mee ($6), Traditional Lor Mee ($4), Cod Fish Fillet Lor Mee ($5) and Chicken Cutlet Horfun ($3). 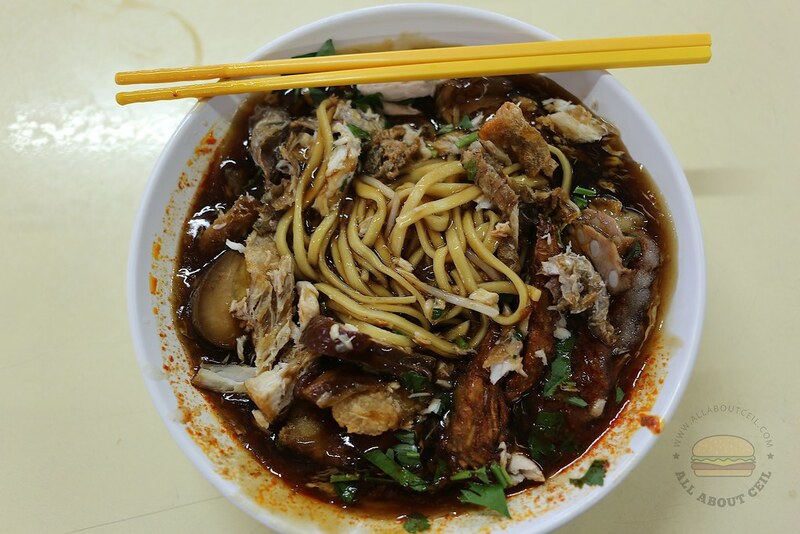 I ordered the Treasure Lor Mee and the light of the signboard went off after I received my bowl of Lor Mee as they operate from 7 pm to 1 pm the next day. This is a popular place for supper. The amount of black vinegar added was a little overwhelmed and it is slightly too acidic for me. I would request for less of it the next time. It is served with ingredients like the pork ribs, pork belly, ngor hiang, shredded fish, braised egg and fritters, well dunked in the gravy. I requested for an extra amount of chilli to be added and even so, the level of spiciness is still manageable. The gravy is well-flavored and thick, it did not get diluted. After trying this, I should be able to conclude the best Lor Mee amongst those that I have tried so far. That's one hawker center that I've failed to explore properly. I was told that there is a nice Teochew porridge there too. 100熟食the stall name? I notice the prawn noodles has a long queue too. The dessert is good too. Not sure. I was told it is opposite Hoe Fried Hokkien Mee. I took a picture of the stall. None opposite Hoe sells porridge. There's an cai pheng stall but I notice it doesn't sell steamed fish. Anyway, Hoe was disappointing. The hkm taste wasn't there. I guess should be the stall in your picture then. I gotta agree that the HKM taste was not quite there in Hoe. A FB friend always tabao-ed from there.